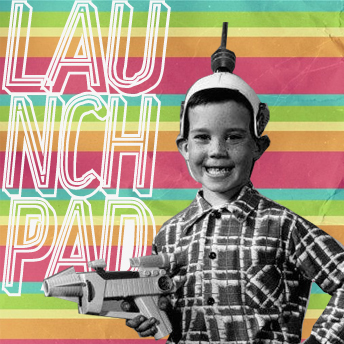 Tin Shed Theatre Company got Comedy Port off to a space-age start last night with Launch Pad – a scratch comedy night curated by the theatre company. The Newport University graduates decked out the U.R.B.A.N Empty Shops Project to literally provide lift-off for the second year of Newport’s very own comedy festival. The company have been heavily involved in the festival since its beginnings last year and performed the highly talked about show, TAXI. This year, the company wanted to curate their own show and so we let them. Some of the acts that took part in Launch Pad were Elvis Preseli, Dan Rowley, Dangerous Ryan, Francesca Word Salad and more. You next chance to see the company is tonight with The Life and Times of Albert Lymes. It’s a one-man show from Justin Cliffe from Tin Shed. He took the show to Edinburgh this year, to much acclaim. Come along and support this vital young company who’s sole purpose seems to be to provide Newport with fun, unusual events and happenings! For tickets to The Life and Times of Albert Lymes click here, call The Riverfront on 01633 656679 or turn up at 21-22 John Frost Square this evening and buy your tickets on the door. They are £5 each and all of the money goes to the company. Let’s do it people. Comedy Port happens but once a year! It’s time to put the port back on the map for the right reasons. I have just graduated from Royal Holloway, University of London with a degree in English and Drama. I’m originally from Newport, but have spent the last 3 years in Surrey. Moving back to Newport has been a bit of a culture shock for me as I am now used to being surrounded by the arts, something that I didn’t think was the case in Newport. Prior to a few weeks ago I didn’t realise the variety of events that were organised by The Riverfront or that Newport has a comedy festival. Having performed stand-up at uni during my reign as president of the Royal Holloway society and having performed in a comedy sketch show in Edinburgh (and caught the comedy bug) I am thrilled that Newport has this to offer…and that at a time where the arts are being affected by government cuts and the recession that Newport is still trying hard to improve the local arts scene. Why am I excited for Newport’s second annual Comedy Festival? It’s simple really; I adore comedy. I live and breathe it. I perform it, I watch it, I write it. Comedy has helped me face my greatest fears and overcome the most difficult of times. That is my hope for Newport. 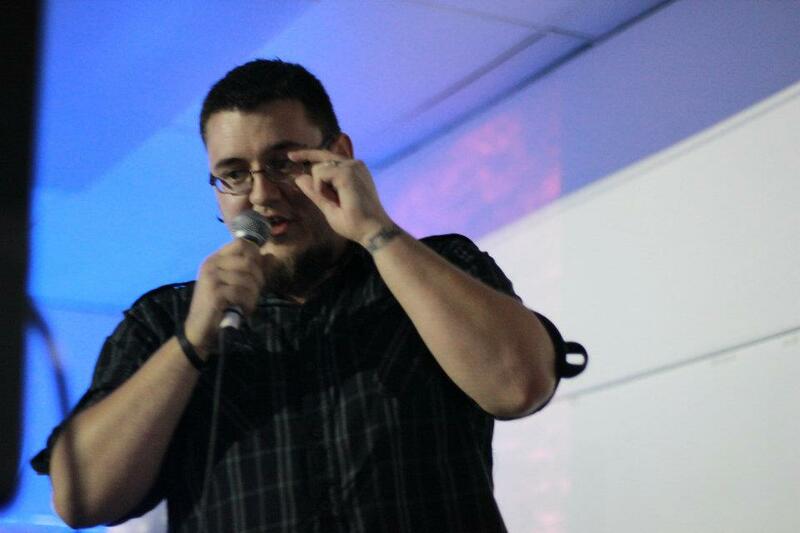 I believe strongly in the cathartic power of a comedic voice. Industrial cities in the UK are crippled by the economic downturn. This case could not be more evident in Newport. I was horrified to return from my student life in Surrey to discover just how much the recession has hit my hometown. You only have to walk through Newport City Centre to see that it has been hit heavily. Newport is a depressed city. We need a Comedy Festival. Comedy gives Newport the opportunity to voice its frustrations and laugh in the face of hard times. To use a well worn cliche: laughter is the best medicine. It is my hope that with the continuation of Comedy Port that Newport can heal and begin a new chapter. A Comedy Festival in Newport can only benefit the city. Laughter is a unifying tool, as when we laugh collectively, it is because we identify with the same things. 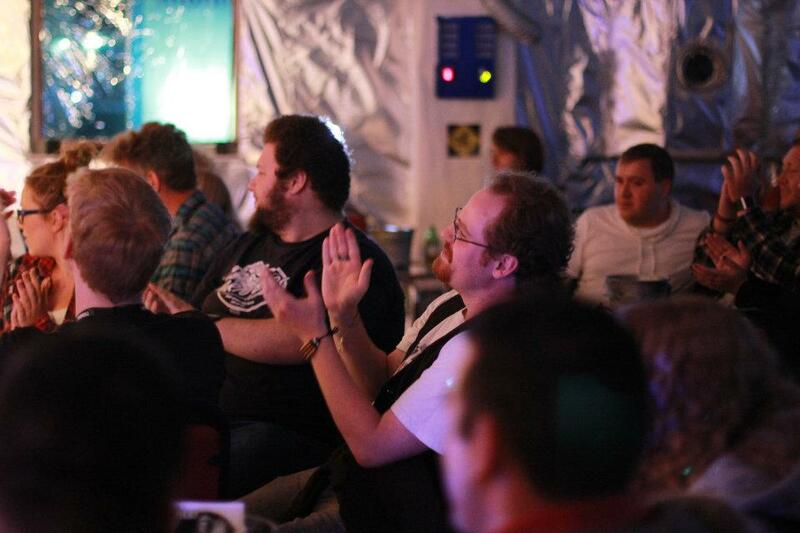 A Comedy Festival provides a great opportunity not only for Newport’s economic recovery, but also improving community spirit and providing relief to Newportonians when so many face worry due to the recession. This festival gives Newport something to be proud of, to fight back against the recession and show the rest of the UK that Newport and indeed Wales has a voice. I hope that Comedy Port will make way for a vibrant comedy scene, where we will see Welsh people encouraged to write and perform comedy and a stronger, more positive image of Welsh culture in English media. Newport has always existed as Cardiff’s poor relative. The festival will help promote the arts scene in Newport and prove Newport to be a serious competitor in the field of the arts. It will undoubtedly make Newport a more attractive place to perform and invest. I believe the future to be bright for Newport and am proud to be part of Newport Comedy Festival and Newport’s future. Kate is volunteering at Comedy Port and we’re hoping to twist her arm and perform at Sessions Open Mic Night. Big time comedy fan and Comedy Port 2010 audience-goer, Sarah Lethbridge reviews last year’s Taxi by Tin Shed Theatre, in preparation for this year’s Comedy Port. Tin Shed will be involved and performing again at Comedy Port 2011. Deets at the end of the blog. Never one to shy away from the strange, this new type of ‘taxi comedy’ sounded intriguing enough to blindly commit to. Committed to and then quickly forgotten, the humour filled taxi-based ‘experience’ finally arrived one October night. I have to confess that the fact that the comedy TOOK PLACE INSIDE A TAXI didn’t hit me until we were stood outside The Riverfront re-enacting that familiar Friday/Saturday night feeling of shivering in the cold, searching the horizon for reassuring orange lights. In my head, I think I had imagined that the gig would take place in some kind of small, slightly grubby, comedy venue where creative types had diligently converted a stage to look like some kind of scene from Taxi Driver and that the audience would be seated in what we would imagine would be ‘the back’…. but no… the gig was ACTUALLY IN A TAXI. And what’s more, that taxi MOVED. So here we are, me and my two friends, waiting for our ride, terrified about what was about to occur…. would we all fit in the taxi? Where were ‘they’ going to take us? Would we have to provide the humour? Would they… …t t tt talk to us? We were afraid. As we entered the taxi, we soon realised that we were not alone. We had gate-crashed a cab occupied by an alcohol riddled young man dressed as a lady desperate to talk to the surprisingly mute driver. As we weaved our way around Newport, a story unfolded. Passengers left, new passengers (with chips!) arrived and we were part of something special. Our initial reticence and fear subsided and we now felt privileged to have a window on this strange, yet familiar, pathos ridden tale. It was almost as if we had been granted a cloak of invisibility for the evening and here we were in the middle of something secret and in a weird way, real. I have thought about that 20 minutes spent travelling around Newport with a variety of randoms spilling their guts out quite often since. It regularly reassures me that I’m right to answer strange event invites in the affirmative. 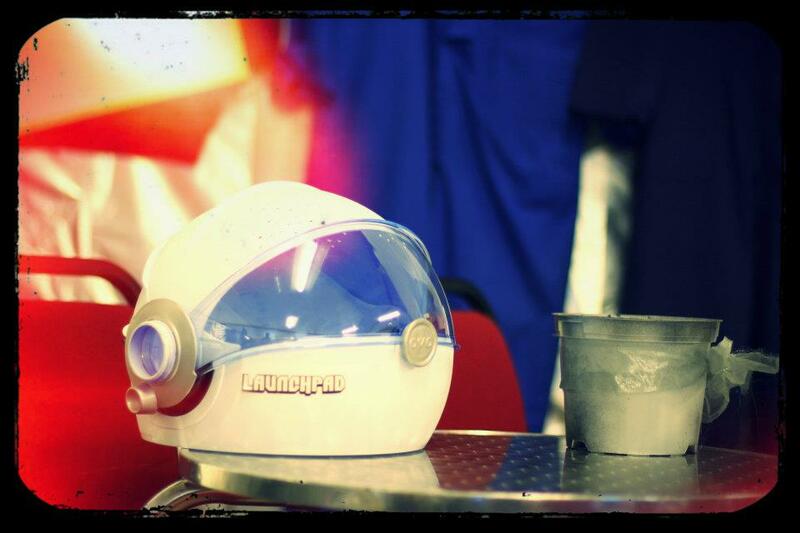 Tin Shed Theatre’s next comedic offering is space themed, so make sure you wear your moon boots… I know I’m going to wear mine. A scratch comedy night with plenty of talent that’s a little bit out of the ordinary. 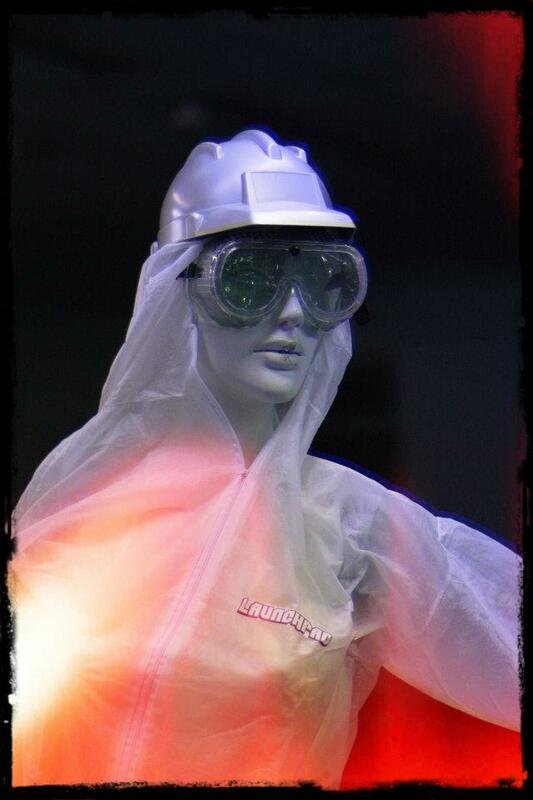 The space will be kitted out like the inside of a space ship and they will be giving audience the opportunity to dress up as either astronauts or aliens. Just for a bit of fun. Tues 11 October : The Life and Times of Albert Lymes (Justin Cliffe from Tin Shed Theatre) in URBAN Empty Shops Project (21-22 John Frost Square) 8pm. £5. Albert Lymes has lived a less than extraordinary life… until today. Arriving home to find his dog has left him, his wife has been replaced by a coconut and his father’s ashes are in a plastic bag on the porch, he embarks on the adventure of self discovery. Albert tells you his hilariously twisted, profoundly insane and possibly moving story, because sometimes you have to lose your mind to find yourself. Beautiful imagery, inventive staging and a surrealist wit make this one-man show stand out. Sadly Comedy Port has come to an end for 2010. 9 days of comedy, fun and laughter have been witnessed by hundreds of people throughout the city. Newport Comedy Festival (the city’s first!) 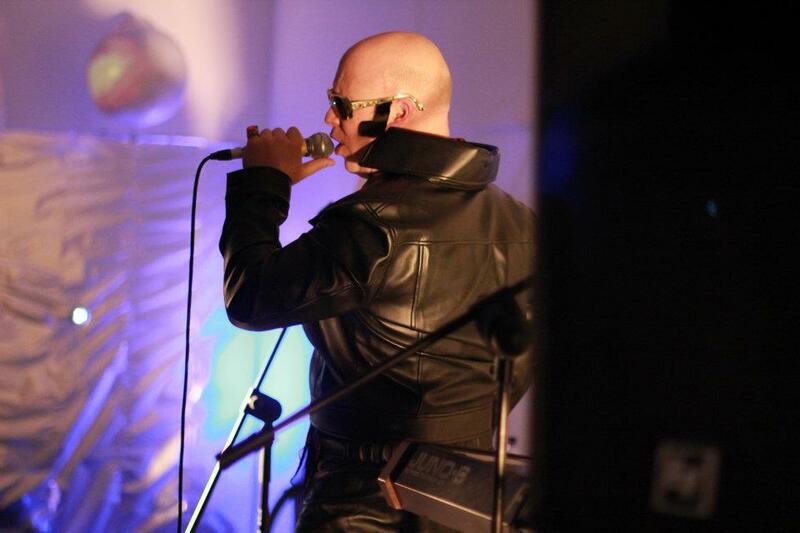 took over venues including The Riverfront, Le Pub and the Empty Shops Project between 9 and 17 October, and saw established acts performing alongside up and coming local comics, as well as musicians, dancers and filmmakers. From a full main theatre at The Riverfront for Shappi Khorsandi, to three people in the back of a Newport cab experiencing the uniquely wonderful Taxi, Comedy Port offered all sorts of comedy, for all sorts of folk! 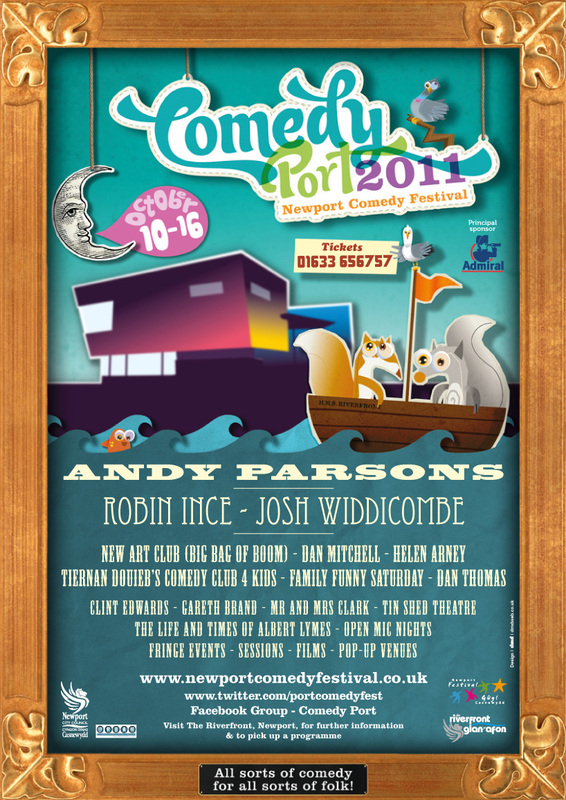 The Festival was part of Newport Festival, and like other events, such as The Big Splash, we need your feedback to make sure that, firstly, there is a Comedy Port 2011, and, secondly, that it is bigger and (even) better than this year! So if you visited any of the events that have taken place in the last 9 days, please take a moment to leave a comment below to let us know what you enjoyed, and what you would like to see next year! Finally, Comedy Port couldn’t have happened without all the ace people who came along to the shows, so thank you to everyone who came to see all of the brilliant comedians and other performers who visited us this week!